Sri Lankans in general tend to agree that Singapore is a country worth emulating for the economic progress it has achieved, maintaining law and order, celebrating cultural diversity, and being helmed by capable and suitably qualified political leaders. Earlier this year Singapore’s Prime Minister Lee Hsien Loong was on an official visit to Sri Lanka and bore witness to the signing of the Sri Lanka-Singapore Free Trade Agreement (FTA). This is the first trade agreement that Sri Lanka has signed in the last decade. It also represents the island’s first FTA with a Southeast Asian country and is viewed as part of a wider ‘Look East’ strategy. Proponents of the FTA – for which negotiations commenced in August 2016, in the wake of Prime Minister Ranil Wickremesinghe’s official visit to Singapore that year – claim that it will provide the country with a gateway to other ASEAN countries and markets. Sri Lanka’s Minister of Development Strategies and International Trade Malik Samarawickrama and Singapore’s Minister for Trade and Industry S. Iswaran signed the FTA on behalf of their respective governments in the presence of President Maithripala Sirisena, and Lee and Wickremesinghe. This was preceded by bilateral discussions between the two countries. The FTA covers the following areas: services, investment, sanitary and phytosanitary measures, technical barriers to trade, trade remedies and dispute settlement, customs cooperation and trade facilitation, economic and technological cooperation, government procurement, e-commerce and intellectual property rights. TRADE STATISTICS In 2016, the bilateral trade volume (goods) between Sri Lanka and Singapore exceeded US$ 1 billion. Official sources expect that the FTA would expand this further with benefits accruing to both countries. Trade relations between Sri Lanka and Singapore date back centuries. In the recent past, Sri Lanka has identified Singapore as a major trading partner while Singapore is leveraged on as a trading hub to introduce Sri Lanka’s exportable products to both the Singaporean market and the rest of the region. Exports to Singapore from Sri Lanka increased from US$ 83 million in 2004 to 140 million dollars in 2014. Meanwhile, Singapore emerged as our 17th most important export destination in 2014. Major exports to the city state include vessels for transport, apparel, pepper, wheat flour, petroleum oils (other than crude), new pneumatic tyres (rubber), tea and fish. Sri Lanka procures between six and eight percent of its annual import requirement from Singapore, which is deemed to be the ‘entrepot trade centre and financial hub’ of Southeast Asia. In 2014, Singapore emerged as Sri Lanka’s fourth largest importing partner, representing 6.6 percent of its total imports from the world. The main import from Singapore is petroleum oil, which accounted for 79 percent of total imports in 2014. 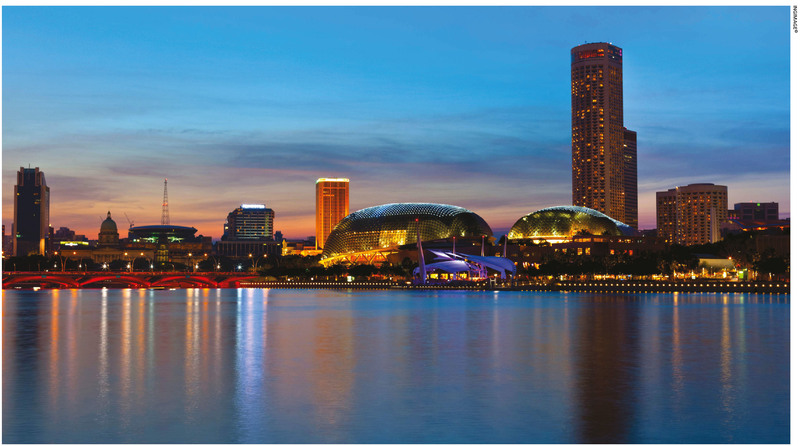 Other major imports from Singapore include machinery, electronic and electrical equipment, chemical products, plastics, food items, iron and steel, tanning or dyeing extracts, and paper products. Trade between Sri Lanka and Singapore has increased substantially over the last decade or so. Of course, the trade balance has remained in favour of Singapore due to the high volume of petroleum oil (other than crude) imports to Sri Lanka. RATINGS IMPACT Issuing a statement recently, the credit rating agency Moody’s noted that the Sri Lanka-Singapore FTA is credit positive for both sovereign nations – more so for Sri Lanka as the trade pact is likely to enhance cross border trade of goods and services, and promote Foreign Direct Investment (FDI) between the two countries. Moody’s anticipates that the FTA will have a larger effect on Sri Lanka’s credit quality because the potential increase in current account inflows and inward investments would help reduce its elevated external vulnerability.